Proper research in this area sounds like a good idea. As mentioned in the comment's on Bruce Schneier's post that you linked, until it is implemented properly in Firefox, the Better Privacy addon deals with LSOs (there's a development version on the author's site which works with the current beta). I'd argue that a lot of sites benefit (or believe they do) from at least a small gap.I think most users' explicitly stated privacy preferences are probably slightly stricter than what they're really comfortable with in practice. As long as they believe the settings are slightly stricter than they are both sides may be happy. The problem is twofold, though: sites overreach, and users find out. Eventually anything but a small gap therefore becomes problematic. Note, I say all this as a user not a software or site designer. I may not like the privacy perception gap as a user, but in theory at least I can see how a small gap might benefit both parties. I don't think this 'gap' is that much of a problem. The problem is that people submit information to a (social networking) site for a reason; for example, to share certain information with their friends. Later, it turns out that the company behind the website has been using this information for all kinds of purposes, most of them not in the interests of the person who submitted the information. Then there's an outcry. Surprised? In my opinion, the problem is that there's no way to limit what company's can do with your data. There needs to be a legal framework with redress for companies who use user data for reasons that the submitting user did not intend. 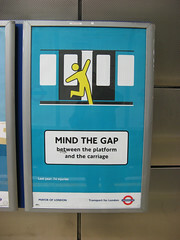 @Anonymous: What you describe is precisely the gap I mentioned. Users submit data to social site to do one thing, but site secretly does something else the users don't expect. The gap is between what the users think and what actually happens, and in your example all the covert activities undertaken by the site fall into the gap. I don't see an easy solution to this problem, but that doesn't mean there isn't one. I also don't want to focus too much on technology-only solutions since maybe we can benefit from some policy/legal/psychological approaches too. @John Dowell: Yup, private browsing mode is supported, but not yet "clear private data". The latter is being held up because the API is hard to standardize when different browsers have different schemas for storing this data... but progress is being made!